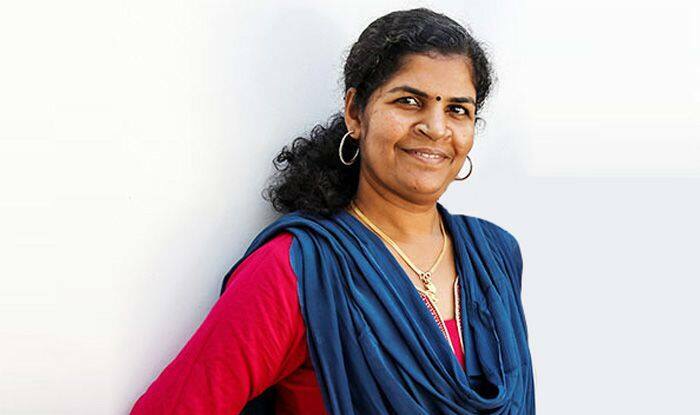 Armed with a local court order, Kanaka Durga the woman whose in-laws had thrown her out for defying religious customs and entering the Sabarimala Temple returned to her husband’s home in Mallapuraram district of north Kerala. Malappuram: Armed with a local court order, Kanaka Durga the woman whose in-laws had thrown her out for defying religious customs and entering the Sabarimala Temple returned to her husband’s home in Mallapuraram district of north Kerala. The feisty mother of two, however, returned on Tuesday, to an empty house in Angadippuram as her husband reportedly took their children and moved into a rented house.“I got the court order and I could enter my house. I am happy and have nothing to say more. I could not see my children today, but I hope I can see them next time,” Durga said. Kanaka Durga had filed a complaint with district officials after she was prevented entry into her house and the Pulamanthol Grama Nyayalaya issued an interim order on Tuesday stating that she had a right to stay at her husband’s home. The case is scheduled for hearing in the local court on March 11. Durga had alleged that her mother in law attacked her when she returned after entering Sabarimala temple. Subsequently, her mother-in-law had also registered a counter complaint with the police. On September 28, 2018, the Supreme Court had lifted the ban on the entry of women between the ages of 10 and 50 into the Lord Ayyappa shrine at Sabarimala.Nearly four months after the verdict, Bindu Ammini and Kanaka Durga, both aged below 50, entered the Lord Ayyappa temple to offer prayers.